Ships tomorrow if you order in the next 24 hours 46 minutes. Auto Ship & Earn + 107 Points What's this? Millions of people suffer with seasonal allergies on a regular basis. The symptoms, including itchy, watery eyes, congestion, sinus pressure, and headache can be debilitating for some people and may even affect quality of life. Many over-the-counter allergy medicines may leave you feeling drowsy and tired. 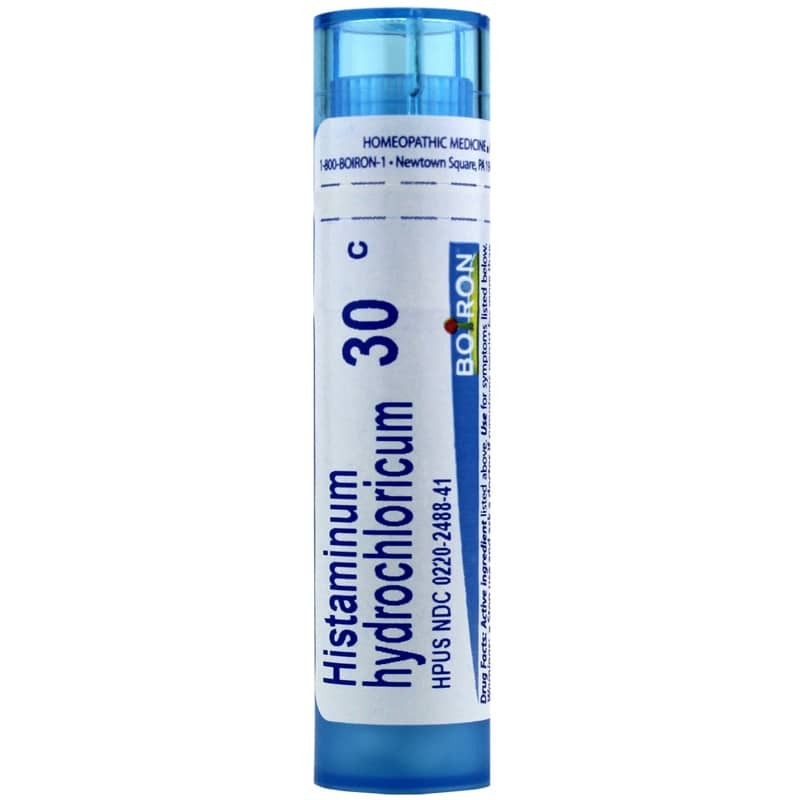 Histaminum Hydrochloricum 30C from Boiron provides homeopathic support for the relief of the most common seasonal allergy symptoms so you can get back to living your life. 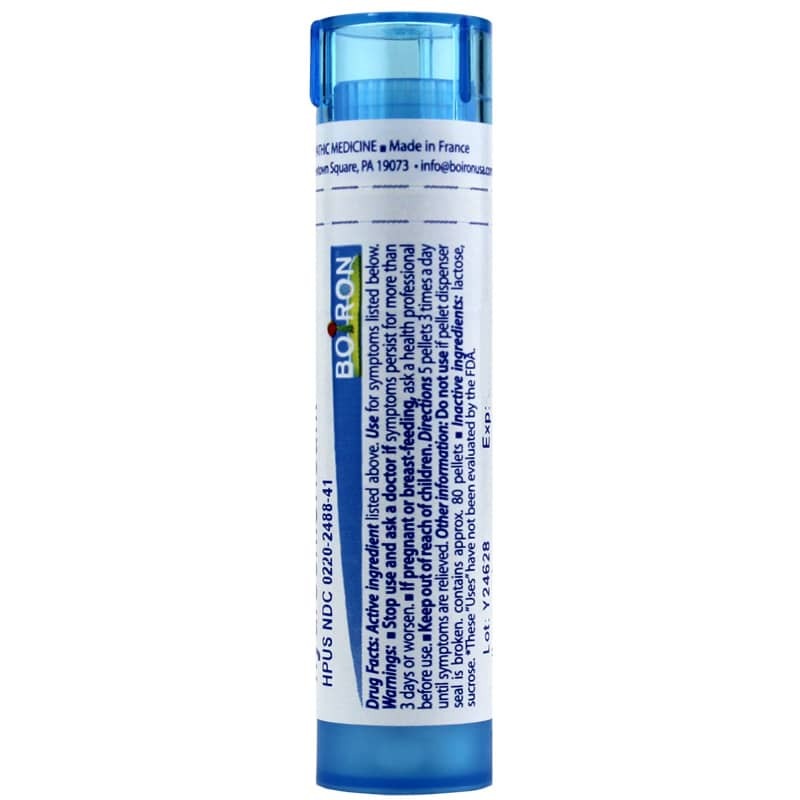 Each tube of Boiron's Histaminum Hydrochloricum contains approximately 80 pellets, and can be used three times every day to help relieve allergy symptoms and enhance quality of life during allergy seasons. Give it a try today and see the difference it may be able to make for you. Order now! Adults: Dissolve 5 pellets in the mouth 3 times a day until symptoms are relieved or as directed by a physician. If you are pregnant or nursing, please consult your healthcare professional before using this product. Keep out of the reach of children. If symptoms persist for more than 3 days or worsen, stop use and ask a physician.